The Fourth of July is one of the few occasions when fire lights up the entire sky and nobody runs for help. There's more to Independence Day than gunpowder and bright lights, though. Humboldt County goes whole hog with festivals, jubilees and more. The city of Fortuna starts things off early with a Fireworks Celebration on Thursday, July 3 at Newburg Park from 5:30 to 10:30 p.m. (free entry, $10 barbeque, $5 kids' barbeque). The Scotia Band provides all the tunes while you glut on grilled yumminess and the fireworks hit the air at nightfall. 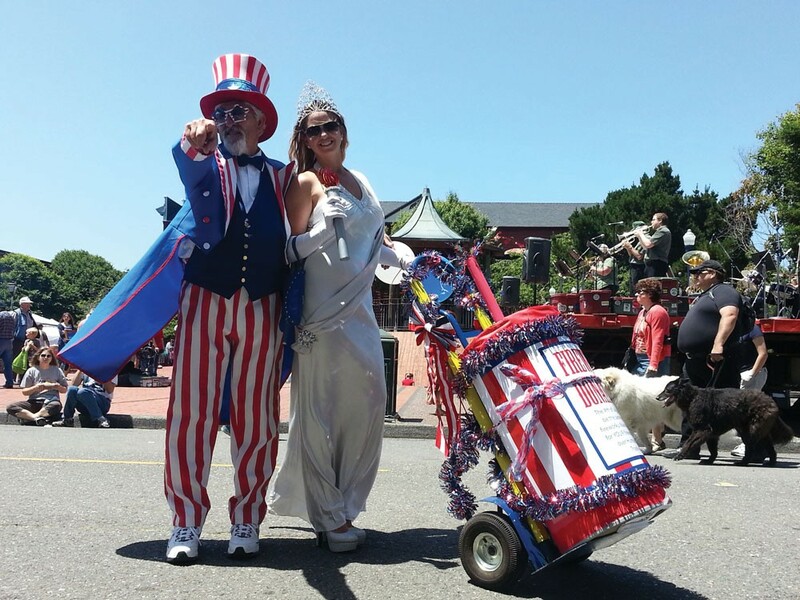 On the Fourth of July proper, Ferndale's Main Street comes alive at 10 a.m. with fire engine rides, a parade and music from the Broadway Americana musical revue (free). At 7 p.m. the fun moves to the Ferndale Fairgrounds for fireworks, oohs and aahs (free). Benbow State Park blows it up at 8 p.m. on Independence Day. Pack some food and lawn chairs, pay the day-use fee ($8) when you enter the park and have yourself a picnic while you wait for the show. Further north, Arcata and Eureka each have their own day-long festivals. At 10 a.m., the Old Town Gazebo and surrounding streets will be filled with more than 100 vendor and activity booths, fire engines and live music from The Hip Joint, Polynesian Dancers, Ya Habibi Dance Collective and more (free). The fireworks start at 10 p.m., so grab a spot on the boardwalk for the best view. Despite its lack of fireworks, Arcata is still pulling out all the stops. From 10 a.m. to 6 p.m., the plaza will be overrun with vendors, live music, Crabs players and more for the Fourth of July Jamboree (free). The Kinetic Paranormal Society hosts puppet shows and the Ridiculous Olympics for all of the kids in attendance, so make sure your little ones brush up on their octopus racing. "Training" begins at 10 a.m. (free). Of course, you can always set off your own fireworks at home, but sparklers in your driveway aren't free and won't light up the whole sky.